We have failed in Afghanistan. Failed to define tightly the original mission. Failed to see Afghanistan through its own eyes and through the eyes of its neighbors. And we failed to explain to the American people why we were there and why we need to remain a partner in the region even when the fighting ceases. Now we may be ready to fail in the manner we leave this “good war” that has brought death and destruction not only to the people of Afghanistan but also in neighboring Pakistan. After all, it was our war that spawned the insurgency in that country—an insurgency that will outlast the U.S. presence in the region and add to the costs of war in that benighted land. For Pakistan has paid a huge price for this conflict: over 36,000 dead, more than 6,000 of them military casualties. And economic costs ranging from $40 billion to 65 billion. The continuing cost to the neighborhood will rise if Afghanistan is left in unseemly haste and resultant turmoil. Leave we must. But the departure ought to be orderly and clearly defined, according to the president’s original schedule. Not a hurried retreat–fueled by election-year politics–that some predict will be worse than Saigon. We still have a chance to reconcile with most of the Pakhtuns inside Afghanistan and bring them into the national concord that is necessary for a balanced Afghan polity. This will reduce the leverage of the expatriate warriors. Otherwise, the worst fears of the regional warlords and Afghanistan’s neighbors will be realized and further strengthen their view that they need to arm and protect themselves for the period after the United States leaves, yet again. Most of them recall vividly 1990 and the hasty disappearing act at the end of the war against the Soviet Union. Pakistan certainly fears the worst, with millions of potential refugees pouring across the border yet again if Afghanistan descends into chaotic warfare. And in the Pakhtun-dominated border region of Afghanistan that abuts Pakistan, the possibility of reverse sanctuary for the Pakistani and Punjabi Taliban remains a real threat. We must engage with the Pakhtuns on both sides of the border. Engage also with the Pakistanis so they understand and can support our efforts to leave a stable Afghanistan, not a cockpit for regional rivalries. To do this successfully, we must scale back the drone attacks or share targeting decisions with Pakistan. Use local cease-fires strategically and remain firmly committed to a civilian and economic presence in Afghanistan after the guns are silenced. We have paid a huge price for this war and the Iraq conflict. Let us not add to that cost now with a hasty retreat. 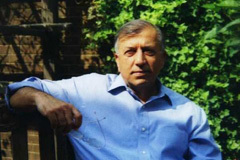 Shuja Nawaz is director of the Atlantic Council’s South Asia Center. This piece was originally published on the U.S. News and World Report’s Debate Club.